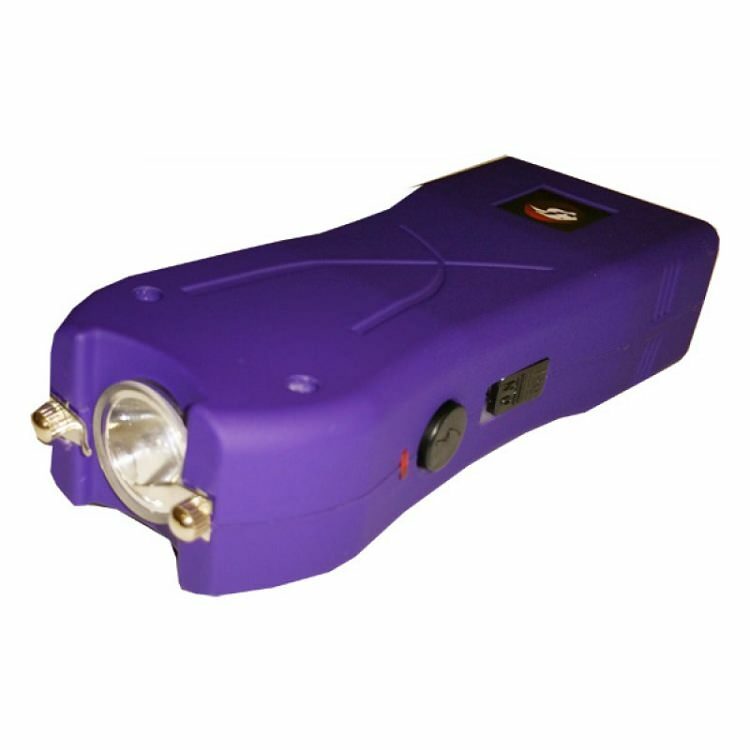 Max Power Rechargeable Stun Gun Built in LED Light With Safety Pin. It is small but strong enough to scare the attackers. Measures 3.5 x 1.5 x 7/8. Max Power Rechargeable Stun Gun. It is small but strong enough to scare the attackers. Measures 3.5 x 1.5 x 7/8. Built in LED Bright Flash Light. Rubberized exterior coating, Rechargeable, slide out plugs directly into standard wall outlet (No cord needed). Nylon Holster with Safety pin feature.